These courses are specific to Post License Requirements. If this is not your first renewal, please click the Continuing Education Button to purchase CE courses. This post-license course includes the following topics, as required by the VA RE Board: Lead Based Paint, Virginia Residential Landlord and Tenant Act, Property Owners Association Act, Condominium Act, Common Interest Community Law, Megan's Law, Service Members Civil Relief Act, all required disclosures, (including Virginia Residential Property Disclosure Act, Megan's Law, the Virginia Mechanic's Lien Disclosure Act, defective drywall, military air installation, septic waiver), Virginia Real Estate Board disciplinary actions/standards of conduct, building codes and smoke detectors. The business of real estate hinges on the concept of agency, in which designated real estate licensees represent the needs of buyers and sellers in transactions. This representation assists clients and customers in performing the needed steps to enable the sale of real property. Virginia Post-Licensing: Agency Law outlines the representation options available to buyers and sellers, and it explains a licensee's duties as required by Virginia law. This three-hour course also details the disclosures and agreements necessary when entering into agency relationships as well as the concepts involved in dual agency and designated agency. In Virginia, new salespersons must complete eight post-licensing courses on state-approved topics, adding up to 30 hours of education. Virginia Post-Licensing: Agency Law is one of eight courses offered by The CE Shop to fulfill the state's post-licensing requirements. Review of the agency relationships allowed in Virginia and their corresponding disclosure requirements. Discussion of agency duties and what they look like in practice. Advice on how to meet the legal requirements and employ appropriate precautions when working in dual and designated agency situations. Scenario-based activities for students to apply the legal guidelines in context. Examples and activities to emphasize key points. This course covers topics related to writing real estate contracts. The course reviews basic aspects of contracts, including types of contracts, who may contract, and validity of a contract. It also covers residential listing agreements and sales contracts, contingencies, leasing and property management, types of leases, common clauses in commercial leases, and commercial agreements of sale. Real estate is an industry driven by contracts. From listing agreements to buyer/broker agreements to leasing contracts to escrows, contracts are the legally binding glue that holds the industry together. And this is also why it's especially important for licensees to be familiar with the ins and outs of all real estate-related contracts. The six-hour Virginia Post-Licensing: Contract Writing course is designed to give licensees a detailed look at how to successfully work with common real estate contracts and purchase agreements. We provide an overview of how to avoid possible litigation by including everything in writing and not manipulating contracts or agreements in any way. In Virginia, new salespersons must complete eight post-licensing courses on state-approved topics, adding up to 30 hours of education. Virginia Post-Licensing: Contract Writing is one of eight courses offered by The CE Shop to fulfill the state's post-licensing requirements. A review of the defining characteristics of a legally binding and valid contract. A description of the central elements of common real estate agreements. Advice on how to work with contracts, including adding contingencies, addendums, and disclosures. Tips for writing clear purchase agreements. An explanation of the disclosures that must be made during a residential property transaction. Recommendations for the steps you should take to ensure that you and your clients abide by all property condition disclosure laws and regulations. Examples and activities to underscore key concepts. This course summarizes Virginia's laws governing residential agency. It includes new legislation that was passed in the 2011 General Assembly and highlights brand new requirements for real estate licensees effective July 1, 2012. Topics include definitions of agency terms, types of brokerage relationships allowed by Virginia law (standard agent, limited service agent, & non-agent or independent contractor), standard agency obligations, licensees' duties to clients vs. customers, pre-conditions to brokerage relationships, requirements for commencement & termination of a brokerage relationship, new brokerage agreements requirements, required disclosures for brokerage relationships (including disclosures for dual standard agency and designated standard agency). Real estate professionals need to possess a solid understanding of financing issues and trends to ensure they're able to assist clients in making decisions. This two-hour course provides a thorough explanation of the mortgage application process. In addition, the course offers a detailed look at the current loan types that clients are likely to consider as they evaluate their financing options. The course also examines a number of special financing considerations that clients should keep in mind when evaluating the purchase of a distressed property. In Virginia, new salespersons must complete eight post-licensing courses on state-approved topics, adding up to 30 hours of education. 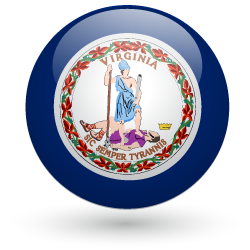 Virginia Post-Licensing: Current Issues and Trends Related to Financing is one of eight courses offered by The CE Shop to fulfill the state's post-licensing requirements. A description of the various components of a mortgage. A review of the various loan types currently available to buyers. Information about special financing considerations that relate to distressed properties. Suggestions for how you can support your clients as they weigh their ability to meet the often substantial financial obligations that come with home ownership. Examples and activities to emphasize key points and concepts. When handling the funds entrusted to you by others, you are constantly faced with decisions that will either increase or decrease your exposure to risk. With that being said, the proper handling of escrow funds is not only a fiduciary duty of real estate licensees, but it’s also the law, and it’s one of the 12 basic duties expected of all Virginia real estate licensees. Handling escrow funds must be done with the utmost care and integrity. Real-world examples and case studies in managing and improperly handling escrow funds. Ethical real estate professionals who adhere to a high set of standards serve as the foundation for ensuring confidence and stability in an uncertain marketplace. The Code of Ethics, a living document maintained by the National Association of REALTORS®, unites those devoted to raising the standards of professionalism and service in real estate. The three-hour Virginia Post-Licensing: Ethics and Standards of Conduct course reviews the Code of Ethics in spirit and language. Recent updates are highlighted and case studies clarify how the Code affects your everyday dealings. In Virginia, new salespersons must complete eight post-licensing courses on state-approved topics, adding up to 30 hours of education. Virginia Post-Licensing: Ethics and Standards of Conduct is one of eight courses offered by The CE Shop to fulfill the state's post-licensing requirements. Tips for applying the NAR Code of Ethics' principles and guidelines to your practice. Advice on how to use the Code's Articles, Standards of Practice, and Case Interpretations to choose the appropriate actions in example ethical scenarios. A discussion about the importance of cooperating with other licensees. Videos providing point-by-point explanations of the Code. Examples and activities highlighting key ideas. As a real estate professional, you have a responsibility to know and understand the applicable fair housing and civil rights laws governing your practice, as well as your personal conduct. Wise and experienced professionals strictly follow fair housing procedures. The two-hour Virginia Post-Licensing: Fair Housing, ADA, and Civil Rights course is designed to give you a comprehensive overview of fair housing laws relating to the sale and rental of real estate. In addition, the course provides a detailed look at federal civil rights and anti-discrimination laws regarding real property transactions and business establishments. The course also offers an explanation of voluntary affirmative marketing agreements and their application in the real estate industry. In Virginia, new salespersons must complete eight post-licensing courses on state-approved topics, adding up to 30 hours of education. Virginia Post-Licensing: Fair Housing, ADA, and Civil Rights is one of eight courses offered by The CE Shop to fulfill the state's post-licensing requirements. A thorough explanation of the fair housing laws that apply to the sale and rental of real estate. Advice on how to avoid discriminatory practices in residential real estate transactions. Tips for ensuring you always act with honesty and competence when serving your clients and customers. Examples showing how the laws apply in real world practice. Activities to ensure key points are fully understood. Succeeding as a real estate professional requires a thorough understanding of the rules that apply to your practice. This eight-hour course focuses on a number of must-know laws and regulations. Equipped with this knowledge, you will be better able to serve your clients, as well as protect them and yourself from lawsuits and disciplinary measures. In Virginia, new salespersons must complete eight post-licensing courses on state-approved topics, adding up to 30 hours of education. Virginia Post-Licensing: Real Estate Laws and Regulations is one of eight courses offered by The CE Shop to fulfill the state's post-licensing requirements. A review of the fiduciary duties owed to clients and customers. Information about the rules that apply to appraisals. Advice on how to create a well-researched competitive market analysis. A detailed description of the closing process, with a focus on the steps you, as a licensee, need to take to assist clients in successfully completing real estate transactions. A discussion about the rules that apply to the handling of trust funds. An explanation of the laws that apply to lending practices. Tips for protecting your clients against predatory lenders. Even for newly licensed salespersons, the business of real estate has serious risks. In residential real estate transactions, you are responsible for assisting clients in one of the largest purchases of their lives. Clients risk hundreds of thousands of dollars or more. With so much on the line, they rely on your expertise to help them make well-informed decisions. In addition, people invest not just their money in a real estate purchase; they invest their emotions and their family's well-being in these transactions. When things go wrong, they look to their real estate representative as the cause first. The scope of risk can cover a variety of areas. Within Virginia Post-Licensing: Risk Management, we examine the risks involved in property disclosures, licensing, agency, contracts, antitrust, and fair housing. In addition, we look at how to manage these risks in comparison to the potential rewards you can achieve. In Virginia, new salespersons must complete eight post-licensing courses on state-approved topics, adding up to 30 hours of education. Virginia Post-Licensing: Risk Management is one of eight courses offered by The CE Shop to fulfill the state's post-licensing requirements. A detailed description of how to account for and mitigate the probability of risk in your day-to-day business dealings. Tips for identifying common high-risk areas. Specific strategies you can adopt to minimize your and your clients' exposure to risk. A look at risk-reduction techniques for your office, business, and long-term career development. Examples and activities to emphasize must-know points and concepts. The purpose of the course is to ensure real estate professionals have a strong understanding of fair housing laws, including the Civil Rights Act of 1866, the Civil Rights Act of 1968, the Virginia Fair Housing Law, as well as the Americans with Disabilities Act. The course also covers recent cases and decisions relating to fair housing. New Salespersons must complete 30 hours of Postlicense education.